Fans of Grand Theft Auto, the moment you’ve been waiting for has arrived! The first official details of GTA V have been announced. The next cover for Gameinformer shows off three men walking with guns and bags of money and these three are the protagonists. 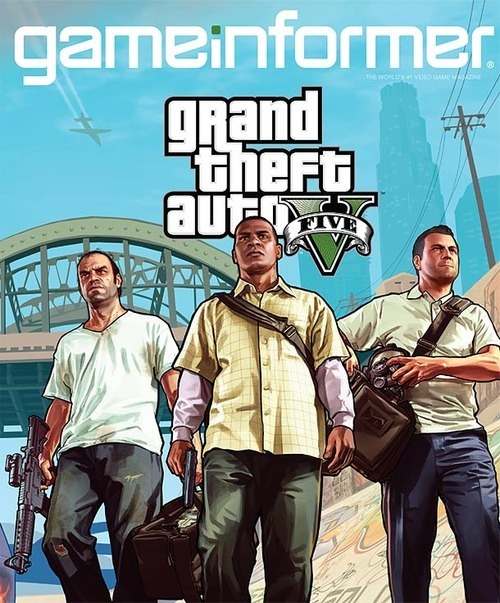 Yup, GTA V will feature three protagonists for the first time in the game’s history. Each character has their own unique skillset which will offer players three different ways of playing. Heists will be a key element in GTA V but players can also experience random moments like chasing down muggers or robbing cash vans. The game will feature online multiplayer but Rockstar has been very hush about the details. During their time with GTA V, players can explore the new city known as Los Santos. From what Rockstar is claiming, Los Santos is the biggest open world created, “bigger than Red Dead Redemption, Grand Theft Auto IV and San Andreas combined.” Underwater locations scattered throughout the city can also be explored for the first time. From all the details that Rockstar has released, GTA V looks like it might be a promising title. Grand Theft Auto V is expected to hit shelves in Spring 2013 for Xbox 360 and PlayStation 3.